Ever wondered how we’re transforming the HR landscape? We’re thrilled to share the newly released Zocket Powered demo video with you, giving you all the insights you need about our HR tech platform. 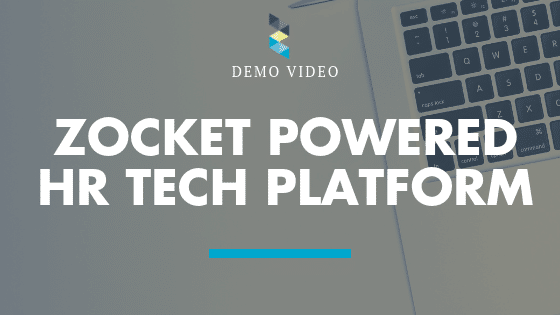 The demo video shows you how Zocket Powered works, and what it can do to help propel your business forward. Zocket Powered is a white-label HR tech platform, that helps companies win the war for talent. Going far beyond the old-school flat CV and automated applicant tracking systems, our HR tech platform accelerates your talent recruitment strategy. But how? By bringing matchmaking technology, smart algorithms, employer branding, and talent acquisition & retention to companies. Thus, we help embellish your recruitment process. Consequently, it will be easier to find top talent, place them within your organization, and offer them an environment to thrive and grow professionally. Curious how it works? Watch our newest demo video. Gain a competitive advantage with one, singular talent attraction platform integrated into your website and career page. It’s a white-labeled tool, meaning it can be easily customized and branded to your unique company and needs. We enable you to attract and diversify the best-fit talent with strong external employer branding and realistic job previews. Additionally, Zocket Powered also serves as a staff retention tool. Because our technology helps promote internal mobility, it supports and provides your employees professional growth incentives within your company. This will result in higher employee retention rates, thus lowering your turnover costs. Want to get more detailed information? Book a free demo call with us. © 2018 Zocket. ALL RIGHTS RESERVED.